Struggling star Sarvesh, if you have seen the movie “Sammohanam”, definitely you will identify that name. Struggling star Sarvesh is the father of hero in Sammohanam, and the son was Sudheer Babu. Now, that relation is used for the movie “Nannu Dochukunduvate” movie, the Sammohanam is changed to ‘Son Mohanam’. Means, the hero father role in Sammohanam film, actor Naresh as Sarvesh promotes the ‘Nannu Dochukunduvate’ movie. To laugh for some time, you should watch this promotional video. Really, it is amazing and hilarious. 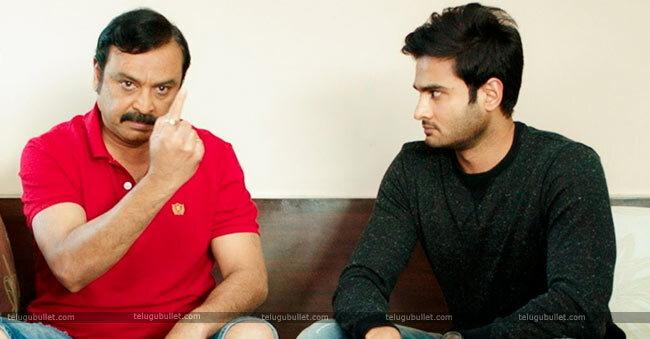 The bridge connection between Sammohanam and Nannu Dochukunduvate, Sudheer Babu team is so keen on the concepts to promote Nannu Dochukunduvate. Sudheer Babu is the producing this film under Sudheer Babu Productions banner. And, the movie is coming on September 21st. Previously, Sudheer Babu has released the promotional video in a different style with dual role concept. And, after that, he challenged the fans and the audiences with two different challenges. Those are Eyebrow move challenge and Best worst proposal challenge. Moreover, he will present the rewards for the winners and giving a film chance in his next production. Really, it is a great chance for film aspirants. Now, this Son Mohanam is another level of promotion for the movie. Recently, this promotion’s trend is going with 984KMPH speed. Frankly, every film team is going with their different styles. Such as Silly Fellows, Paper Boy, Manu, U-turn and some more films in recent times. Of course, promotions are must for a film, without promotions, how would people know about the film? If a film is of a big hero and director, it will be reached to the people easily, but in the case of small budget films, they should promote the film.